The mayors of Colorado City, Arizona and Hildale, Utah will defend themselves in federal court starting this week. The US Justice Department will try to prove the twin towns are controlled by the Fundamentalist Church of Jesus Christ of Latter Day Saints. It’s a religion many believe is fraught with polygamy and corruption, and is still run by long-time leader Warren Jeffs, now serving a life sentence for sexually abusing minors. As Arizona Public Radio’s Aaron Granillo reports, some former FLDS members will testify they’ve been harassed by the towns’ leadership for years. Hildale - Washington County Sheriff Deputy Darrell Cashin patrolling Hildale, Utah. On making inroads into the closed community, Cashin said, "It's going to take time. They need to see that they can trust me." Isaac Wyler will never forget the day he was no longer welcome in his hometown of Colorado City, a tiny community in the remote desert along the Arizona-Utah border. It was in 2004, when he says Warren Jeffs kicked him, and 20 other men, out of the FLDS church for no reason at all. "He wouldn’t say other than that he said God gave him a list of sins that we had committed," said Wyler. "He told us all to leave, told the families that were with us, ‘don’t even go out the same door.'" Wyler has been considered an apostate ever since – shunned by the church and rejected by his FLDS family members. He says living here as an apostate means he faces constant abuse by church members. He called the Colorado City Marshall’s office to report the incidents. But, Wyler says the officers didn’t follow-up. He claims that’s because they take orders from Warren Jeffs. Even though the former FLDS-leader is behind bars for the rest of his life, Wyler says Jeffs influence remains powerful enough to intimidate even law enforcement. “If they investigate it, they’re going to lose their wives, they’re going to lose their kids. They’re going to lose their job. 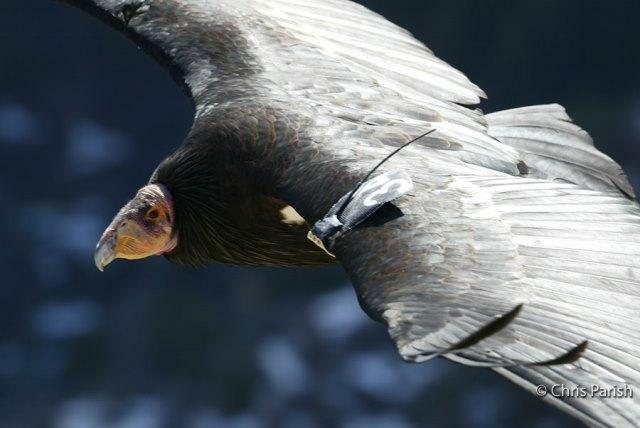 They will lose everything,” said Wyler. Wyler will testify in a Justice Department lawsuit that claims the leadership in Colorado City and Hildale act as agents for the church, and deny certain services to non-FLDS members. The mayors, utility companies and police are all defendants, including Jeremiah Darger, the chief of the Colorado City Marshal’s Office. He’s been on the force since 2009, and says his officers never take direction from the church. “We’ve upheld the laws of every citizen. We’re here to make the community a peaceful, quiet community and let people live their lives,” said Darger. Darger could be a key witness for the defense because he's not a church member anymore. He won’t elaborate on why he left the religion, other than to say it was for personal reasons. He thinks the lawsuit is unfounded. "There’s a lot of accusations out there and we’ve waded through them and waded through them and waded through them," said Darger. "But, it’s hard to say. We’ll just have to see what the judge decides. Attorney Jeff Matura represents Colorado City. He asks if the church really controls the city, why is Darger, a non-FLDS member, police chief? "How does the US government wrap their argument around that fact because it seems inconsistent. It seems like not only would officer Darger no longer be an officer if the church controlled everything, but certainly he would not have been promoted internally,” said Matura. Matura argues what the government really wants to do in this case is attack a religion it doesn’t like. This isn’t the first time the leadership of the twin cities has been accused of religious discrimination. In 2014, the town’s utility companies lost a civil lawsuit for denying services to Ron Cooke, a former church member who moved back to his hometown of Colorado City after he suffered a traumatic brain injury. For years, he had to use a generator for his breathing machine because the city wouldn’t hook up his electricity. "I thought this was America until we moved here. They were in control of all of it," said Cooke. "And so it’s just like moving to a whole different nation or whatever you want to call it, because none of the Arizona rules or America rules work here." Cooke hopes a guilty verdict in the federal case will bring some stability and protection to a place he considers to be lawless. The FLDS church would not respond for comment on this story. Today’s opening statements begin what could be a lengthy and complicated trial. 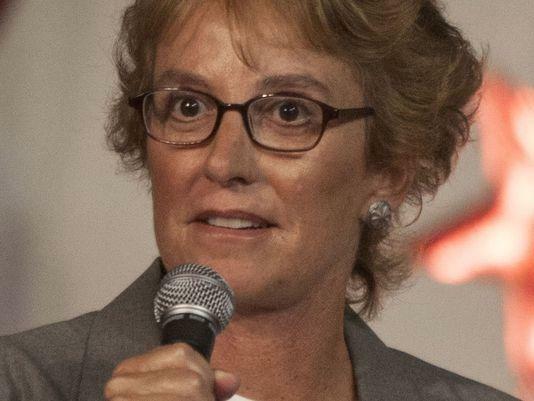 A sixth Republican is joining the race for the GOP nomination in Eastern Arizona's 1st Congressional District. 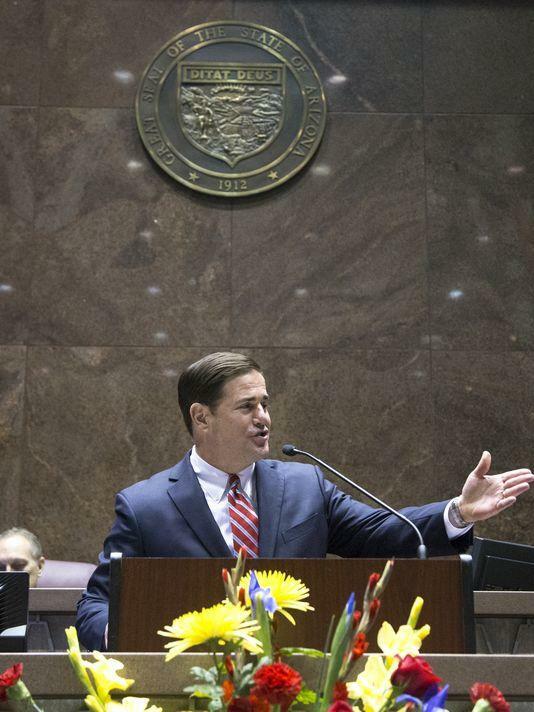 Governor Doug Ducey delivered his state of the state address yesterday. He focused on Arizona's improving economy and his plans to continue supporting business friendly policies. Arizona Public Radio’s Justin Regan reports.